 Noone provides a complete tie design, sampling and production service in our Australian manufacturing facility. 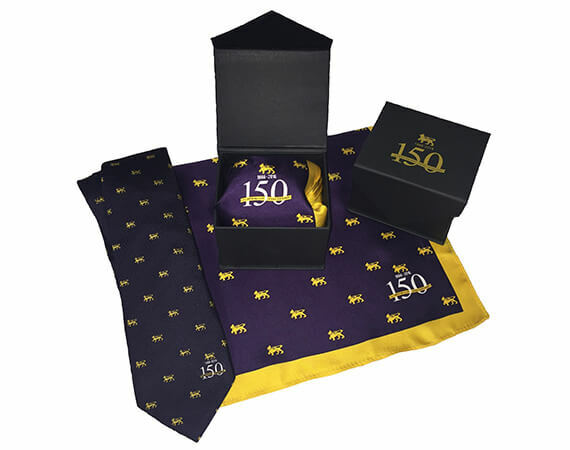 Our comprehensive capabilities include the design and manufacture of traditional stripes, contemporary jacquard crested logos, commemorative occasion ties, old boy and association ties; sporting, house and music ties. 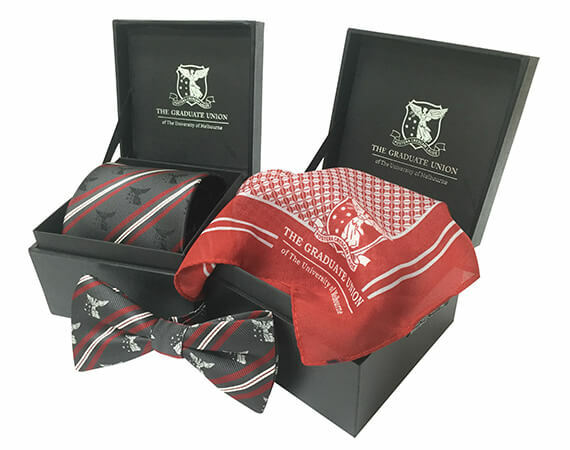 We also manufacture a range of girls’ crossover ties, bows and woven hatbands. Customers have a choice of fabrics including 100% polyester, 100% silk, 60% silk / 40% polyester and wool blend versions. All ties are made to individual specifications, allowing customers to select their preferred widths, lengths and shape. Specialty packaging consisting of gift boxes (various styles) and gift envelopes are also readily available to enhance the presentation of our ties. Custom ties are made to order with low minimum orders of ties depending on design and fabric selection. Normal delivery within a 4-6 week period. Noone also manufacture woven jacquard hatbands featuring school crest and/or coloured stripes. All hatbands will match tie specifications for design and colour consistency and are manufactured in Australia.